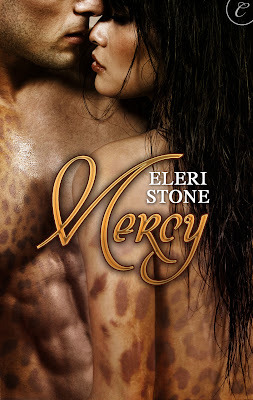 Mercy was written by Eleri Stone. Now, while this probably wouldn't be a book I would find on my own and immediately want to read... I am so glad I read it. I will tell you I read the book because it was written by a high school friend. I have found that reading books by people I actually know is a really exciting thing. People I know have published books!!! If you are thinking about reading... I will warn you... this book is HOT. And it is hard to put it down once you've started reading. I thought the story of jaguar shape-shifting people was really interesting... and the writing made it all seem possible and real. Can't wait to see what Eleri writes next!